TROPIC BROWN GRANITE is available in slabs, tiles and cut to size projects from CCS STONE, Inc in Northern New Jersey. 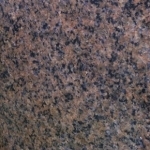 Finishes include Tropic Brown Granite polished, Tropic Brown Granite flamed, Tropic Brown Granite honed, Tropic Brown Granite sandblasted and Tropic Brown Granite brushed. CCS STONE, Inc. is dedicated to providing the highest standards of quality and service to its customers. The company uses advanced stone working technology while maintaining environmentally conscious processes in the production, handling and packing of its products. CCS STONE, Inc. welcomes trade clients and their customers to view materials in its modern, fully craned indoor facility. The warehouse is clean and safe, with natural light for optimal viewing of stone. Active in the stone community, CCS STONE, Inc. has been a member of the MIA Marble Institute of America since 1985. This entry was posted in Granite and tagged Tropic Brown Granite. Bookmark the permalink.